This week as I was reading Luke, the account of Anna touched me deeply. 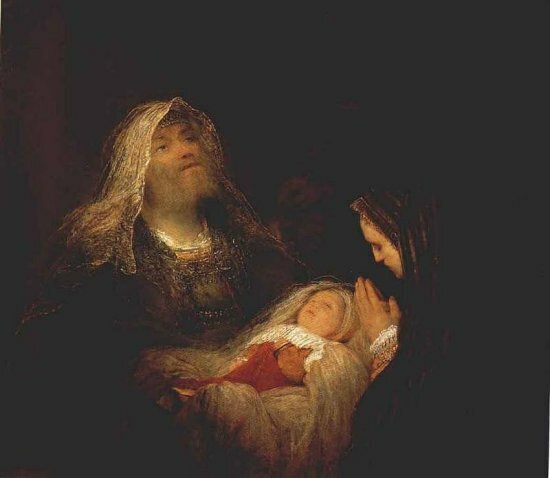 Look at it with me: Anna was an eight-four years old widow (she was only married for seven years), and Luke tells us that, "she did not depart from the temple, worshiping with fasting and prayer night and day." And on an specific day and hour, the day and hour Jesus was presented in the temple, she came to the temple and "began to give thanks to God and speak of Him to all who were waiting for the redemption of Israel." (Luke 2:36-38). Anna was a woman who was not thinking too much about what was she supposed to be doing with her life in the midst of her circumstances, she chose the best part -just like years later Mary would choose (Luke 10: 38-42), she was happy to be a woman of who loved being with God. Anna did exactly what I want to practice doing more and more, she worshiped God, she gave thanks, she prayed, she fasted. She waited. And her waiting was not in vain, she saw her Savior, her prayers were answered, her reward came. Young women, start now. Start in the midst of your circumstances, start in the early morning hour before going to school. Start now, on the commute to your job. Start now, while you cook breakfast and dinner for your husband. Start now, while changing diapers and organizing closets. Start now. Start today, don't wait until you are older to become a woman who values intercession. Don't wait until the hard trials come. Don't wait until the well of your soul dries up. Pray now. We need your prayers and you need your prayers. I love to see that Anna's prayer life was not something that was kept locked inside a closet. Notice that Anna came out of the temple, the place where she would meet with God, and because she had seen her Savior there, she was able to speak of Him to those who were in need. A rich prayer life leads to a rich life with others. Note that she was not a teacher -I love to teach and I love teachers, but this is not what Anna does here-. She spoke God's words to those in need, she spoke about Jesus, the Spoken Word, the Incarnate Word of God. You cannot have a true woman of prayer if you don't have a woman who loves the Word and abides in the Word, and studies the Word and meditates and prays the Word. And when you have a woman like this, you want to be close to her. She will speak words of hope, words that promise a redemption to those around her. She will reach out and give the Word.